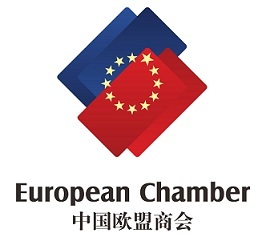 European Enterprises, local Shenzhen government and local media gathered together on occasion of Europe Day, an event organized by the European Union Chamber of Commerce in China, Pearl River Delta Chapter. The European Chamber has chosen the theme “The Power of Branding Your Country, Your City and Who You Are” drawing attention on the importance of the branding of Shenzhen City to attract even more foreign investments in the future. To promote the city and support the development of its own brand as world top class metropolis, the European Chamber on occasion of Europe Day invited Mr. William Fingleton, the Head of Press & Information Section at the EU Delegation to China, to share the European experience in country and city branding to the South of China business community, Chinese government authorities and media. “As Europeans working and living in Shenzhen we realize the importance of promoting the city and supporting the development of its own brand to the world”, added Mr. Kunz. In his presentation about the the image of Europe in China and the importance of branding of China to the world, Mr. William Fingleton commented “A strong nation brand is more than culture & heritage, tourism, business environment, economic strength, quality of life, value systems – it makes people’s lives better. You first need to attract people admiration for what you actually are and then to find a way to promote and brand this image to the world, otherwise - just promoting something that you want to be, is a mere propaganda”. He added: “It is not the government who shall be responsible for the country or city branding; it is the companies and the people themselves”. Europe Day, officially celebrated on May 9th, marks the historic moment when Western European countries began the process of European integration under a single European institution and this led to what we now know as the European Union of 27 nation.